Mariam Khan enters Jibraan’s room, which angers Aayat. Aayat beats her up and tortures her further. She wants Mariam to stay in limits. Mariam wants to go back home. She tells Aayat that Majaaz didn’t come till now and she won’t have food. Aayat blackmails her and tells her that none in the family will get food if Mariam doesn’t eat. Mariam gets worried and agrees to have food. Aayat forcibly feeds her and threatens her. She says if you tell anything to Majaaz, you will be punished. Mariam cries. Aayat makes Mariam wear new clothes and glasses, so that she can look good and happy to Majaaz. She forces Mariam to live to Majaaz on the video call. She writes on the paper to guide Mariam what to talk to her family. Mariam doesn’t read the words well and spells in such a way that Majaaz thinks Mariam is beaten up by someone. He questions Mariam if anyone has beaten up. Mariam lies to him that she is very happy, Aayat took her for shopping and got many gifts for her. She acts to be happy and fools Majaaz. Majaaz and Madiha get happy that Mariam is having a good time with Aayat. Mariam ends the video call and cries. 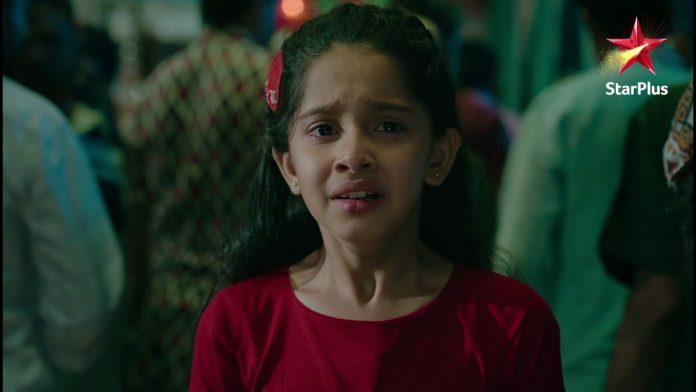 She is fed up of Aayat’s tortures. Mariam waits for Majaaz to come and take her home to Madiha and family.